Planning a Disney vacation can take a lot of work, simply because there is a lot to do. After all, you need to figure out transportation, accommodations, tickets to the park, food, FastPasses+, character meetings, and a thousand other extras. Here’s the good news, a Disney Package can make some of that work easier. It allows you to tackle a few of those things all at the same time. Imagine booking your accommodations and tickets all at the same time, and possibly even more. It’s like a dream come true, and you haven’t even arrived at Disney yet! 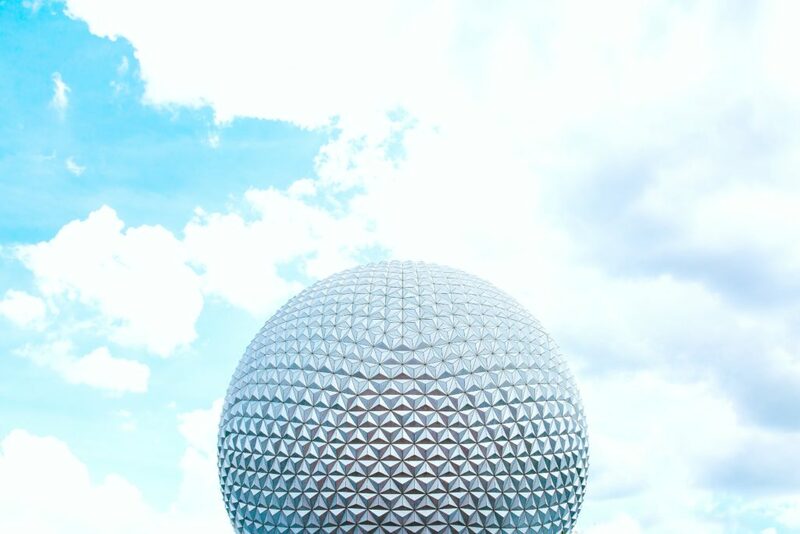 I don’t know about you but, I like easy and Disney packages make my vacation planning easy. Disney packages generally include a hotel room and park tickets. You can add a pre-paid dining plan to any package. Also, a new change to the dining plans this year is that alcohol is now included. Select beer, cider, wines by the glass, and cocktails are available. If you’re not much of a drinker, you have new options now too. Enjoy gourmet hot chocolate, milkshakes and smoothies. 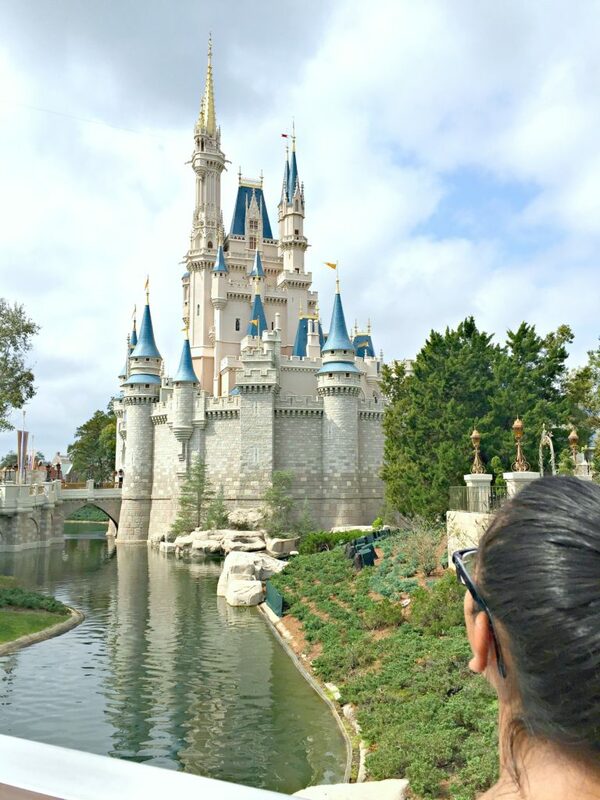 Read on for 5 reasons why I think Disney packages are worth the money. It shouldn’t come as a surprise that tickets to Disney can cost a lot of money. Once you add a hotel and food to all that, the cost of your vacation can really add up. However, a Disney vacation package can have a family of four spending 7 days and 6 nights at a Disney hotel, visiting all four parks, and using the Disney Quick Service Dining Plan for as little as $134 per person per day. Depending on the time of the year you visit, you may save even more money. One of the best times to book is when Disney offers a free dining plan when you book a Disney package. That puts even more money in your pocket. The caveat is that they only offer it once or twice a year. You need to keep an eye out for it. Of course, if you are savvy, you can book everything separately. I’ve done both ways and I find it much more convenient to stay on-site and use a dining-plan over a la carte. Most times, if you plan a Disney trip any other way, you are going to be out of luck if you need to make any changes to your trip. However, if you book a Disney package, you will be able to make a change or cancel it within at least thirty days without paying a penalty fee. Choosing a Disney package is a great way to book a Disney vacation if you do not have all the money for your vacation yet. The reason is you will only need to pay a deposit for it. The rest of the money will not be due until thirty days before your vacation begins and that will give you plenty of time to save the money. You can choose what you want in your Disney package because Disney sees their guests as individuals. Therefore, you can choose the length of your stay, the parks that you visit, the hotel you stay at, the dining plan that meets your needs, and numerous other extras. Below, is a quick outline of the dining plan options. This is the basic Walt Disney World vacation package. It includes accommodations at a Disney-owned-and-operated resort hotel, and Magic Your Way tickets base tickets, but you can upgrade to Park Hopper or Park Hopper Plus. The Park Hopper Plus allows you to “hop” to Disney’s water parks as well. Perks of staying on-site: 60 days early access to FastPass+ planning, extra magic hours, complimentary transportation (water taxis, motor coaches, monorail), free airport transportation on the Disney Magical Express, complimentary MagicBands, and Dining Plan access. This package includes everything from the Disney’s Magic Your Way Package but, also include a dining plan. This plan gives everyone in your party two quick service meals and two snacks per package night. You also get a resort refillable mug per person. This package includes the exact same things as the Disney’s Magic Your Way Package. This dining plan includes two meals (one table service, one quick service) and two snacks per person and per day. This is the one that we always choose because we make the most of it. Just like the other plans, you can choose from over than 100 restaurants across the Walt Disney World Resort. This plan also includes a resort refillable mug per person. Since we are light breakfast eaters but enjoy fine dining, we get the most out of this plan. Our day consists of using one dessert for a light breakfast and a quick service at any walk-up of our choice. We then have a snack before dinner and use 2 table services to eat at signature restaurants like Citricos, Narcoosees or Wolfgang Puck, just to name a few. Our bill for our dinners can run in the hundreds, and we just cover the gratuity and we are good. This option works for us the best and I feel that we get our money’s worth in our dinners alone. This one includes everything from the Disney’s Magic Your Way Package. The Deluxe Dining Plan includes three meals and two snacks per person/night. The world is your oyster as usual, and you can choose from more than 100 restaurants. Here’s the difference, this dining plan includes an appetizer with lunch and dinner, while the regular dining plan does not. It also includes a resort refillable much for everyone in your party. Everyone who books a Disney package automatically receives magical extras. These items are subject to change, but currently, they include 4 miniature golf passes and 4 ESPN Wide World of Sports Complex passes. You get discounts to certain restaurants and discounts to certain shops. Click here to see the full list of Magical Extras. Of course, this is in addition to your MagicBands, extra time in the theme parks, resort transportation, and hotel benefits. There are numerous ways to book everything for a magical stay at Disney, but Disney packages seem to have multiple benefits that will save you time, money, and much more. If you want convenience and can work the dining plan to work for you, you can definitely get your money’s worth. You’ll see that Disney packages are worth the money! Make sure you check out my post if you need more information on how to plan your Disney trip like a pro. Have you booked a Disney Package before and how did it go? Previous Post: « 4 Budget-Friendly Birthday Party Ideas for Kids! I have been to Disney, but it has been a LONG time! I need to keep this post close because I really want to go again and this will give me all the info I need to do this! AWESOME post! This was a great post. With Disney prices getting pretty expensive its always good to have bundling options to save. We always think the money is worth it though any time we do spend it at Disney! Yes, I am all about saving on something I love. Saving money is definitely up at the top of my list when it comes to trips! I also like the penalty-free changes and cancellations. HUGE advantage! Yes, those are defintiely pluses. I love this post, it really gives you such good ideas on why packages might be worth it for you. I often hear people say not to bother so a post on when they would suit is great! Yes, it all depends if it suits you! I have NEVER been to Disneyworld before in my life – Disneyland, yes. But I don’t go often enough to invest in passes or anything. I do live next door to Universal though, and have a seasons pass which is in fact worth it. You can buy a year pass for the same price as buying a one day pass. It’s weird to me! OMG, that is awesome to live so close to fun. I always love to save! We no longer do the dining plan though. I don’t like that Disney considers my 11 year old an adult. She eats like a bird, so it simply wouldn’t be worth it to us anymore. She still eats from the kid menu. I wish Disney would change the age of what an adult is! We do love Disney though and go often. We’re headed there in October 🙂 I appreciate the discounts Disney does for military members and families. Aww, that is unfortunate that it does not work anymore for you guys. My daughter always ordered off the adult menu, so it works for us. Yes, I love that they offer discounts! I absolutely love Disney! I haven’t been since 2012 and it is killing me. Especially with all of the great new rides they have added. I think we did a package the first time we went many years ago – 8-9 years back. We stayed at Port Orleans and also had the Park Hopper passes. That was my favourite of the Disney trips. Another time I thought we could stay near by and do the parks from a distance. That time actually was not the best. It was a lot less convenient. It depends on the traveler, of course, we have done both and I find that it depended how much we wanted to visit. IF we only wanted 1 or 2 days in the park, it was better staying off-site but, more than that, on-site always. Disney packages are incredible. I like to use them even if I am not traveling with children. I love dining and travel packages. Vacation planning is no easy feat. So it’s nice that there are vacation packages like this that are more affordable and reasonable. Thanks for sharing your thoughts on the Disney vacation packages. My pleasure, hope it helps. Disney looks beautiful! I have never gone there. The photos are pretty amazing! Thanks for sharing this one. My pleasure, hope you can visit soon. I would love to go to Disney land. You got some great tips for us here. I don’t know when we will be able to go. Hopefully soon. I also love Disney packages. I want the ability to personalize our package depending on who is going and what we want to do. Disney’s Magic Your Way Package is awesome. You are so right. Time and money are valuable commodities these days and buy purchasing a package, you see on both. What I love most is that I don’t have to plan and sort – its all done, and all I need to do is to show up…and enjoy. =). Everything about Disney is worth the money! We went in January and we are already planning our next trip! I have always wondered about the packages and if they were worth it. I usually do all of my planning for the best deals, I need to look more into this option next time. Thanks for sharing! My pleasure, we definitely think it is for us. You should see if it works for you! Hopefully one day I will be able to visit this magical place. Hopefully one day I will be able to visit this magical place! I hope you can soon. It is definitely worth looking into these packages especially since I always remember the time I had when I went as a child. It will always be burnt into my memory as one of the best family holidays we ever had! These packages also seem so good value for money! Awww, that is so awesome. Yes, they really are worth it. I am a travel agent and Annual Passholder at WDW. I always encourage families visiting to buy the package during their stay because of the same reasons you outlined above. It makes it easier for them in budgeting for their trip and the packages are a great value. Thank you so much for your thoughts. I completely agree. I like to do as much planning ahead of time as possible, before I leave for vacation. That way things are handled when we arrive and we can just enjoy. Disney packages sound like a great way to skip stress when visiting WDW. We are thinking about planning a trip to Disney very soon! We’re hoping we can make it to Disney World and Universal. A package seems to be the way to go! Packages are definitely a great way to get a bargain. I’m excited about the extras. We just got back from a Disney trip this week! I can’t wait to take them back. Yes, I cannot wait to go back too! We will be going to Disney in a few months. We will definitely look into some packages. I am always trying to save money. It is never a bad thing to save money. I agree with you that a Disney package saves money. We went to Disney World last summer and we got one that included the dining plan and pictures. We ate very well and had lots of beautiful picture. For our next trip I will be buying another plan. That sounds like perfection to me! I like that you can customize your package and that changes and cancellations are penalty free. I like to get all my planning out of the way so that I can just enjoy Disney. Me too, the less I have to worry about while I am there the better. We went to Disney so many times before I ever considered a package. It’s absolutely the best deal! Just the dining part alone made it the right option for us. We are foodies, so the dining plan is a must for us. When we do Disney again I think we will have to do a package! It looks like way more bang for your buck! It really is. It is the way we do Disney! We have yet to take the boys to Disney, however, we’re planning to do so sometime next year when they’re older. Awesome! Hope they love it. We love Disney and always book their packages. It is a huge value when we get the dining plans. It works out perfect with snacks and meals and I love all the extras you get! It’s really the only way to go! I agree, we always do the dining plan. So worth it for us. Omg wow thank you so much for this amazing travel tips on Disney packages. Planning a Disneyworld trip with friends and I’d definitely be wanting to check out these packages. Yay! I am glad this can help. Disney is never a bad idea! I love it. It is almost always worth the splurge, because the kids get so happy. Thanks for sharing. I completely agree! I think it is worth every single penny. Thanks for sharing! Visiting Disney world was always my dream when I was I kid. Love your photos! A package sounds like a much more economical way to visit! I’d love to go, so thanks for sharing! Awesome, I hope you make it out soon! Wow you captured some really good shots of the castle. We are going there soon. will keep this in ind. Thanks so much! Yay, hope it helps. 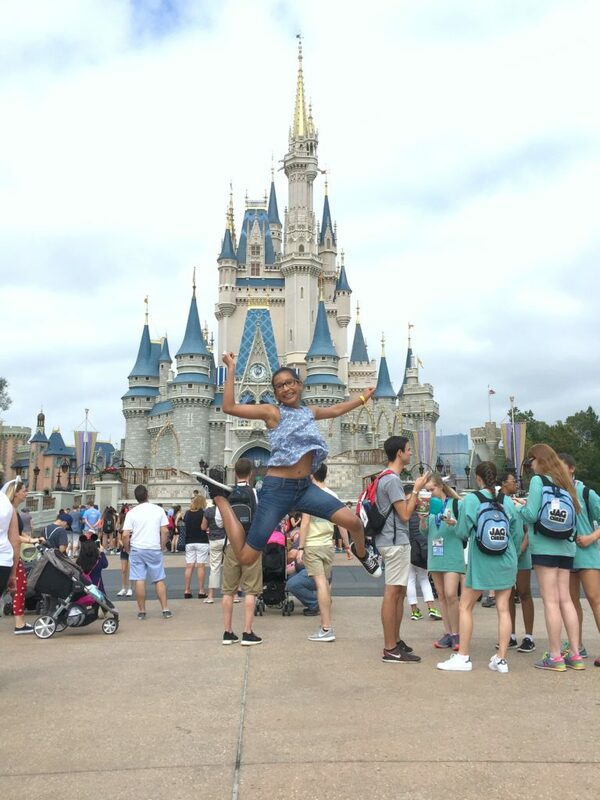 I really like all your hacks and great tips for an awesome time in the happiest place on earth. My son is too young right now to go to Disneybut we’ll definitely go here soon. He will love it! Thanks, hope they help. What a great way to see Disney. Disney can be expensive and you have offered some great ways to save and still enjoy the park. It definitely was a lot easier planning wise to use one of the packages. We chose the option that gave us freedom to choose the aspects we wanted and not use the ones we didn’t care for. That is awesome, I love how flexible they are. We love all things Disney so we definitely consider the packages worth the money. I have looked up pricing on them and they do have some incredible deals. I really need to get out there soon with my daughter. Yes, they definitely are! I hope you two can make it soon. I have been wanting to visit Disney. Hopefully soon, I will be able to and I am definitely looking forward to that trip. Awesome, hope you make it soon. Totally agree with this post! I just went to Disney World for spring break. For the 2nd time we did a resort/ticket package and I cannot say enough good things about the experience. Yay, that is so good to hear! I love Disney packages. We used one when we took our kids to Disney about 10 years ago. It made things so easy. Unfortunately back then they didn’t have the bracelets or the fast passes. I hope to go back soon so we can experience these things. Yes, hope you can make it back soon. I feel like travel packages are generally cheaper than booking each part of travelling separately. Disney is always a great option. My friend got the year pass and she loves it! Hiya,thanks for putting this all together certainly lots of information.Love the photo of Gabby!